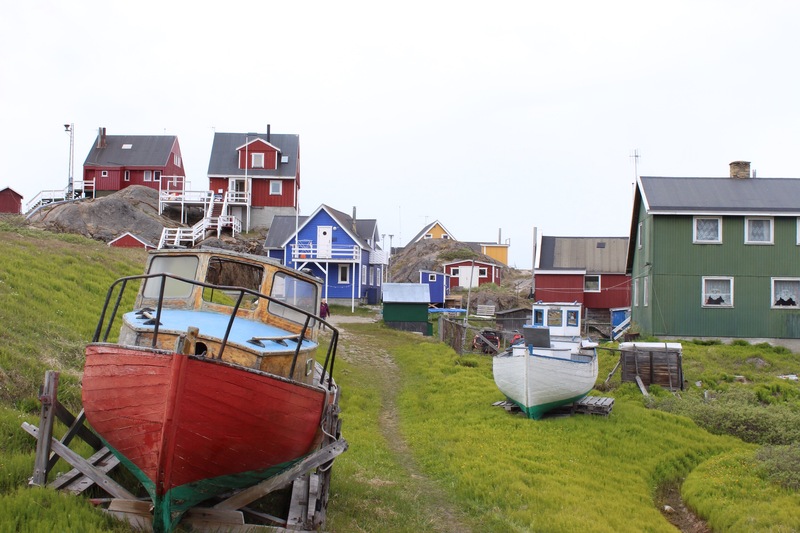 With no roads interconnecting Greenland’s towns, boat or plane are the two transport options. 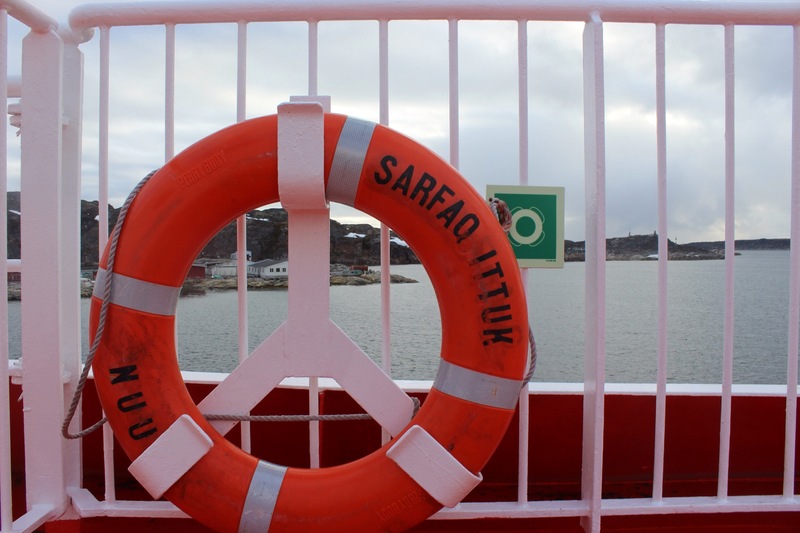 On a snowy sunday afternoon we were boarding the Sarfaq Ittuk southwards to Nuuk. 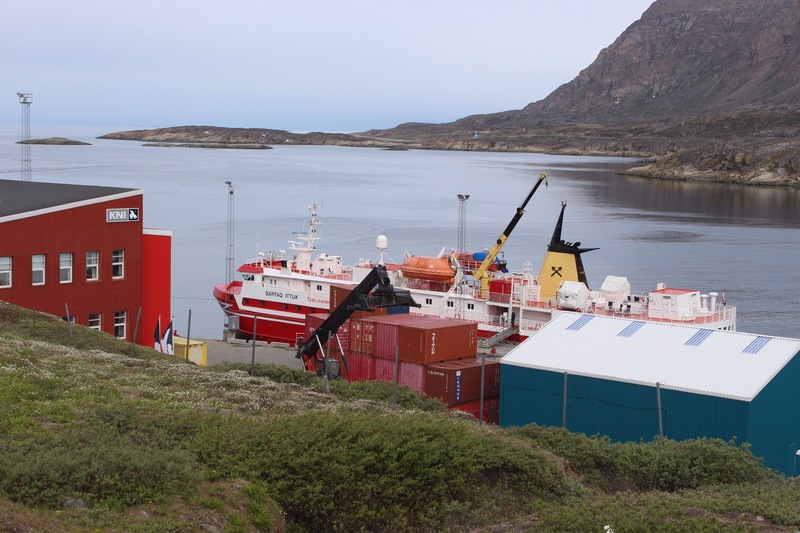 Our floating dorm was to be home for two nights as we made our way 500metres down the coast to the capital. Circumnavigating the Iluslisat Icefjord was majestic in the late afternoon sun, despite feeling icy cold across the deck. In the giant blocks of ice you could imagine creatures and shapes, each one like a floating multi-storey car park, it’s scale hard to compute. I knew that one thing that was important was being flexible with what we ate, essentially, whatever was available, and the dinner was Musk Ox. 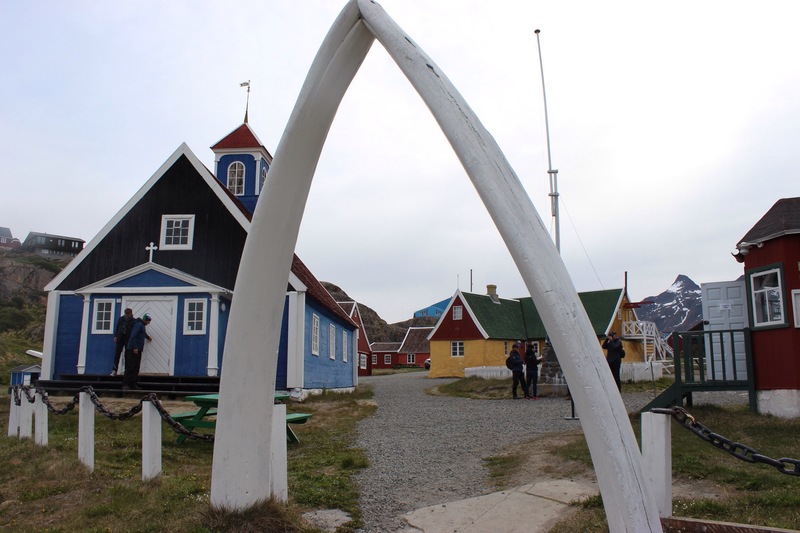 Despite usually eating vegetarian it was a delicious serving of meat and an insight into the Greenlandic diet which is generally meat and fish dominated. 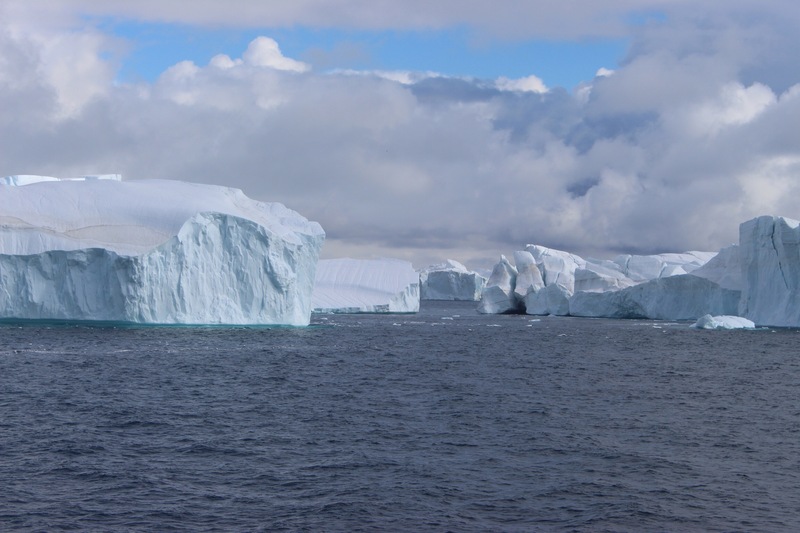 All evening we headed west through Disko Bay until late in the evening after calling at Assiat we made south. After a good deal of exploring the ship, we headed for bed to be rocked to sleep by the ocean. Morning brought a Scandinavian breakfast and an early stop at the coastal town of Sisimut. 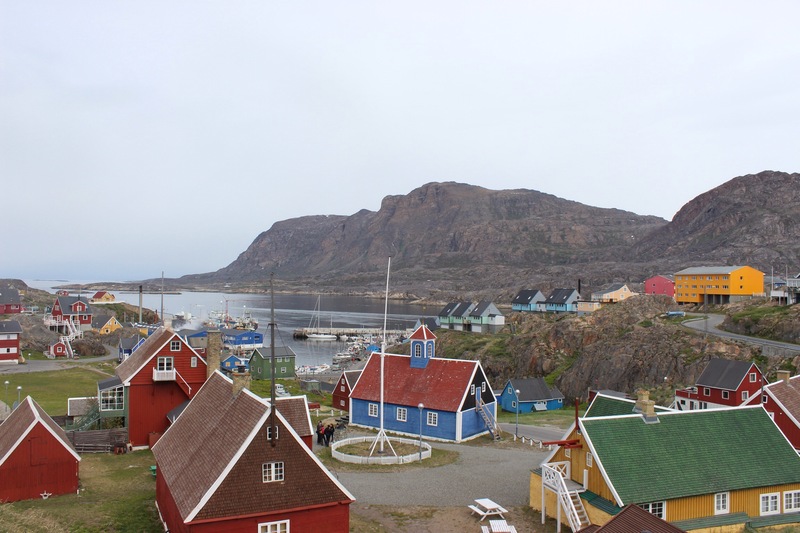 A port town of an impressive size, it also had an interesting open air display of life throughout the ages, from peat covered dwellings to Greenland’s first church. It’s beautiful an’all, but would you pay 60 buckets of Whale blubber? 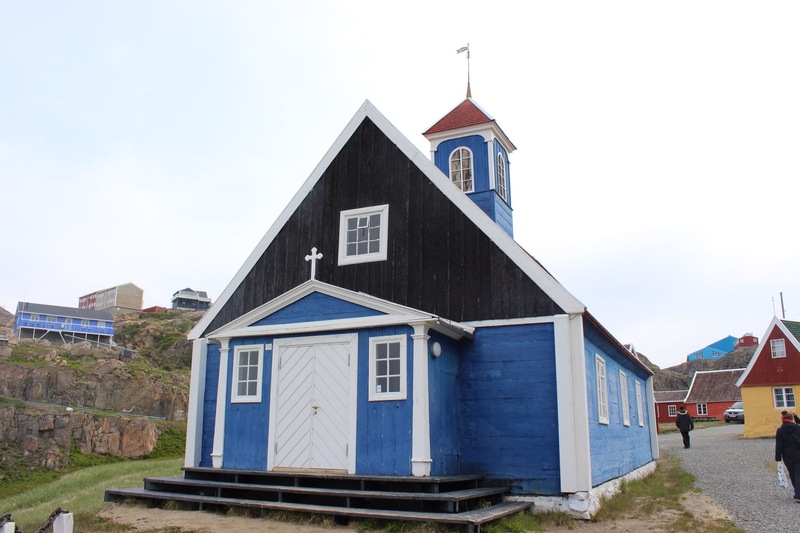 The first church marked a big change in Greenlandic society brought about by the Danish missionaries, as the people were previously Shaman. Believing in ancestral spirits and many beings was condemned by the church and under pressure, many converted. Another change of passengers to a beautiful village was done by a life boat, the port channel too small for the boat to enter. 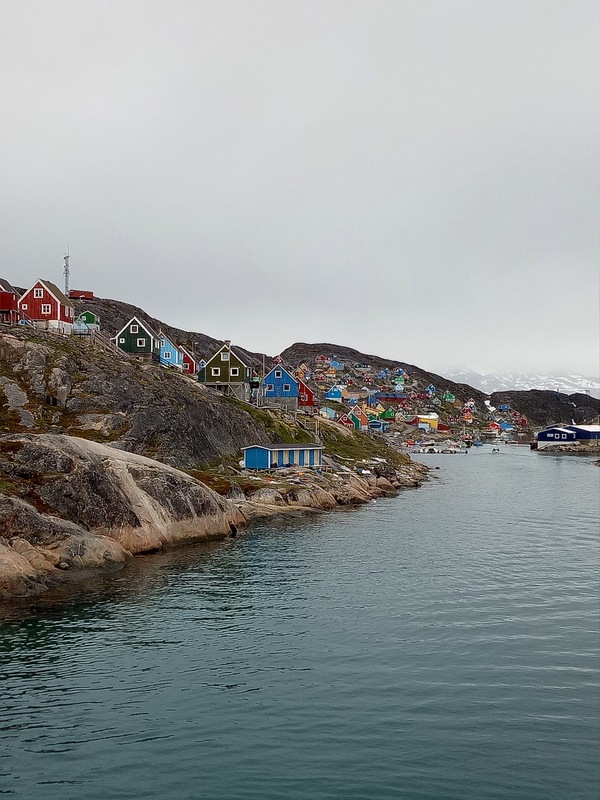 From the ship we could just see rocks with colourful houses sprouting from them, exactly the picture you imagine of Greenland. The ship dived inland to manoeuvre incredible fjords of vast magnitudes. Although on the map they looked tiny, they dwarfed our ship. Sitting in the aft lounge watching the world pass in the large windows, a Greenlandic lady and her daughter came to sit near us and watched us playing our game. After a little while of hearing our conversation, the mother began chatting to us in perfect English, as if we had known her for years. 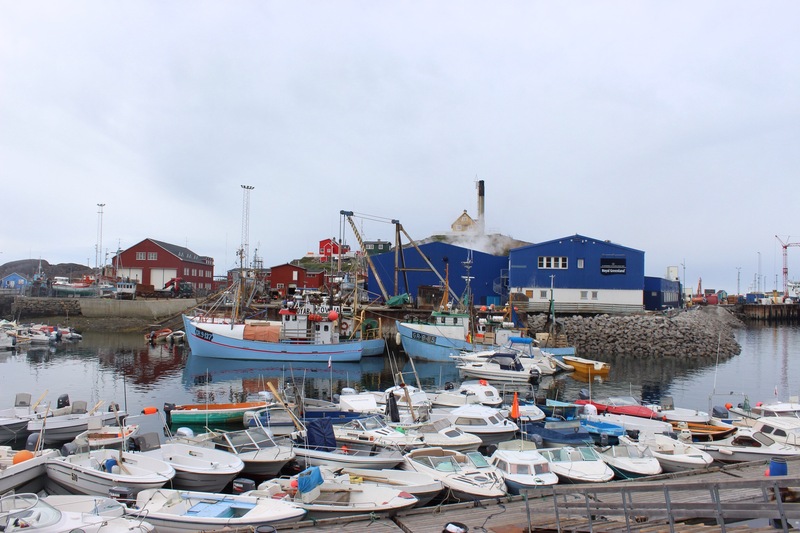 She was taking her daughter to Nuuk to buy clothes, ride on a bus and visit a swimming pool. These were novel things for the family who regularly saw humpback whales from her window… Yes, riding a bus! Before long the captain announced whales on the left hand side of the ship. Rushing to the port side we saw three humpback whales passing, breaching and flicking their tales, blasts of water giving us forewarning. 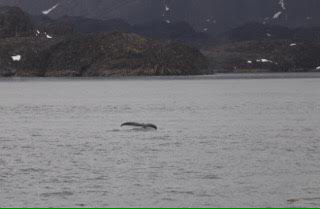 Not long later, ‘whales, left hand side of the ship’ – another two, swimming along the fjord. 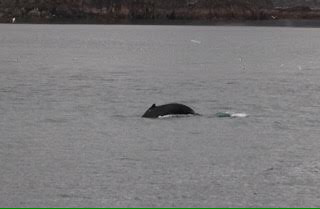 Again about twenty minutes passed, ‘whales, right hand side.’ This time several were playing close to the land where we were soon docking in Maritsoq. Absolutely incredible display. 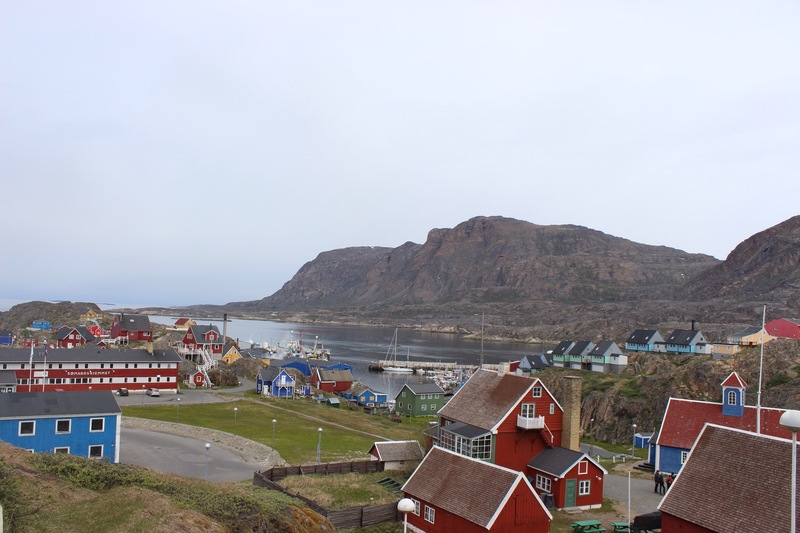 We got out for a wet walk in Maritsoq just for a quick jaunt to the church and around the town. Inbetween the colourful houses very normal life was going on. Visitors on their way to the pub, a bit of graffiti marked the buildings. In this place so far removed from our daily imaginations, life goes on. 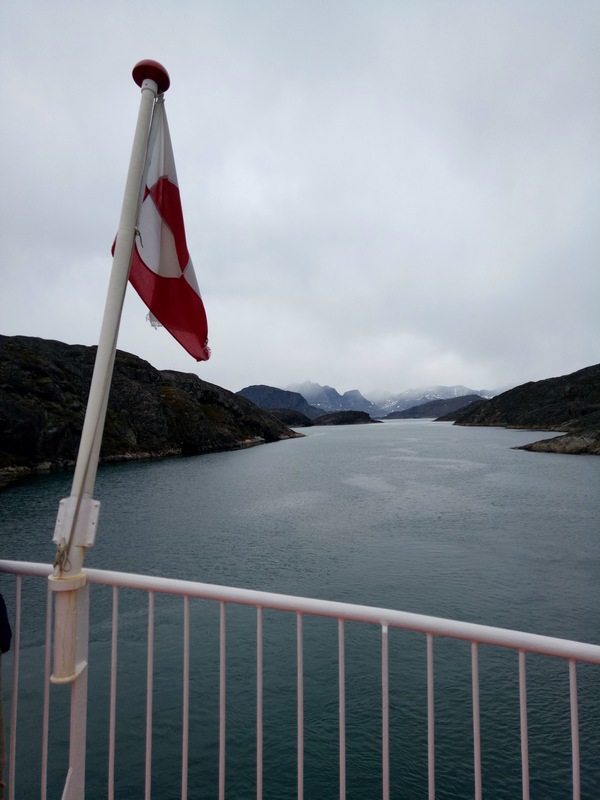 By 7.30am the next morning we were docked in Nuuk, for a little bit of a wet welcome.